A car without anti lock brakes is vulnerable to uncontrolled skidding when braking, due to the risk of wheels locking up. The ABS system uses speed sensors to detect rapid decelerations, then controls the brakes through a series of valves positioned on the brake lines. The ABS uses a pump for restoring pressure to the brakes. The system is run by a control unit that processes the data from the sensors and controls the valves and the pump. Manufacturers continue to upgrade and improve anti-lock systems for faster reaction times and greater sensitivity. To find out details about your car’s system, visit Meineke #1536 in Dublin, OH. Braking sharply is risky but at times necessary in order to avoid a road hazard. One of the major risks of braking is losing control of your car, which could lead to a major accident. The anti-lock system monitors rotational speed and performs a sophisticated algorithm of releasing and pumping the brakes that prevents wheels from locking up and lets the driver retain control. A malfunctioning ABS is particularly risky when driving on a slippery or icy surface, in bad weather or on loose material such as gravel. 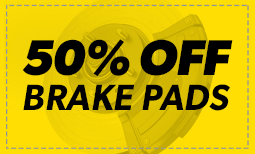 For best performance, be sure to get a regular ABS brake service check at Meineke #1536 in Dublin, OH. Some people think that the funny little sound their brakes are beginning to make can be eliminated with a simple fix. They begin looking around, wondering where to buy brake fluid and spend some time considering options, such as silicone brake fluid versus mineral brake fluid as well as overall brake fluid cost. Meanwhile, the funny sound turns into an annoying screech and the smart driver will realize it’s time to take the car to Meineke #1536 in Dublin, OH, for an inspection. Sometimes a mechanical issue with your car pops up without warning, catching you completely off guard. With brakes, however, you often get a signal that trouble might be brewing. Have it checked out promptly by taking your car to Meineke #1536 in Dublin, OH. If you ignore the problem, you may soon face serious issues with your car and more expenses when the problems that develop must be fixed. Even more important are the safety risks when you wait too long to have faulty brakes repaired. Although some repairs to the ABS system can be costly, it’s much safer to replace a faulty ABS module as soon as possible. 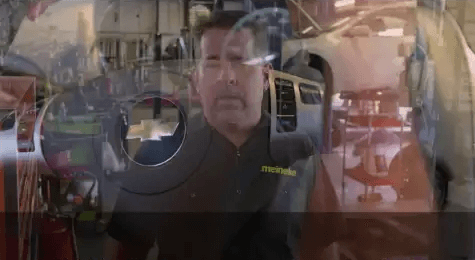 When you hear random clicking noises or feel the brakes trying to pump themselves, you need to come to Meineke #1536 in Dublin, OH for professional repairs. When you become accustomed to relying on your anti-lock brakes, you don’t want to be caught without them, especially when the weather gets bad. Let Meineke help keep you safe on the road. If you are thinking about replacing your anti lock system, a reputable service center can help you choose the best one for your car and help you ensure optimal function. Today’s manufacturers are continually improving sensitivity and reaction time in order to improve safety. As part of your brake’s mechanism, your ABS is affected by the type of brake fluid you use. High quality fluid is less prone to clogging your valves, so it is important to know where to buy brake fluid that is right for your system. Ask the professionals at Meineke #1536 in Dublin, OH about replacing and maintaining your ABS, as well as brake fluid cost.